I don’t want someone coming here and thinking “oh, she must not be working this fall”. My priorities during busy season are getting everyone’s portraits taken, edited and sent out … in there I MIGHT find time to get a sneak posted on social media (about 50% of the time). But there are no thoughts to getting blog posts up until at least December. If you’ve found this article then you are probably either pregnant or just had a baby (congratulations!) and are looking for a newborn photographer (hopefully you are looking for a Columbus Newborn Photographer, ha ha however the article still stands even if you aren’t in the Columbus area) and I wanted to take a moment to write a little blog to help you choose a newborn photographer. Choosing a photographer to capture your baby’s first portraits can be as stressful as choosing your OBGYN. Ok, maybe not quite that stressful – but definitely as hard as choosing a hair stylist – only you aren’t trusting your hair to someone, you are trusting your most prized possession – your 2 week old baby! There are many things to look for when booking a newborn photographer and I’d like to take a moment to walk you through some of the key items you want to check before you sign a contract and pay a deposit. First… make sure there is a contract. This sounds crazy, but there are photographers out there that aren’t licensed with the state as a business. They don’t pay taxes. They also don’t have insurance. What? No insurance? Ok – move that to number one! Make sure they have insurance! Second – look at their work. Is it what you want on your walls? Do you like the colors and poses you see in the portfolio? If you have found specific pictures on Pinterest but don’t see any of these in their portfolio, then this probably isn’t the photographer for you. And honestly it doesn’t hurt my feelings if I am talking with a potential client and realize that they are looking for something that doesn’t go with my style – I would much rather point them in the direction of a photographer that can fulfill their needs rather than stress out and then disappoint them in the end. My style is very simple, posed and baby focused. I use wraps, bonnets, head bands etc, but very minimal props and mostly neutral colors. I also consult with the parents before the session to make sure we use colors that will go well with their house decor so that they will want to print these and plaster them all over the house. I also offer natural light, lifestyle newborn photography sessions at my clients’ homes. These can be done anywhere from 2 weeks to 2 months after baby is born. My only requirement for these sessions is to ensure that there is enough natural light in the home and space to capture the images that the parents are looking for. Safety first! 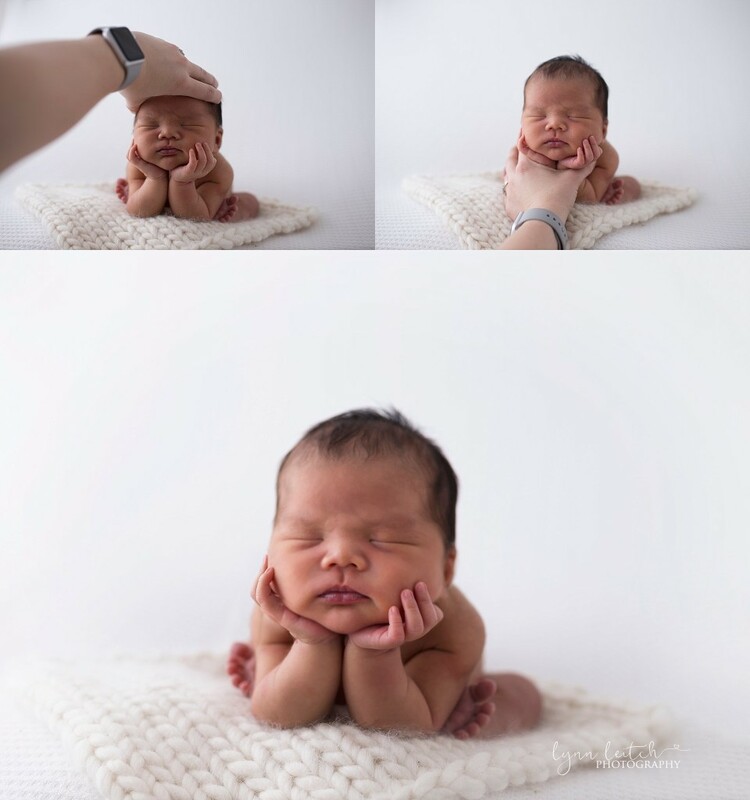 Please know that some of the more advanced poses that newborn photographers do are actually done in photoshop! In this example, there is never a time that the baby is holding the weight of his head in his hands. While I do want parents to relax during their session, if there is a need for a second set of hands, I will never hesitate to ask the parents to assist. No picture is worth the safety of your newborn. For sessions with multiples, I will always have an assistant with me, in fact I will have a set of hands for each baby, so if you have quintuplets (first, bless your heart), but I would have 4 assistants with me. One factor, which is usually the first that new parents are looking at, is budget. 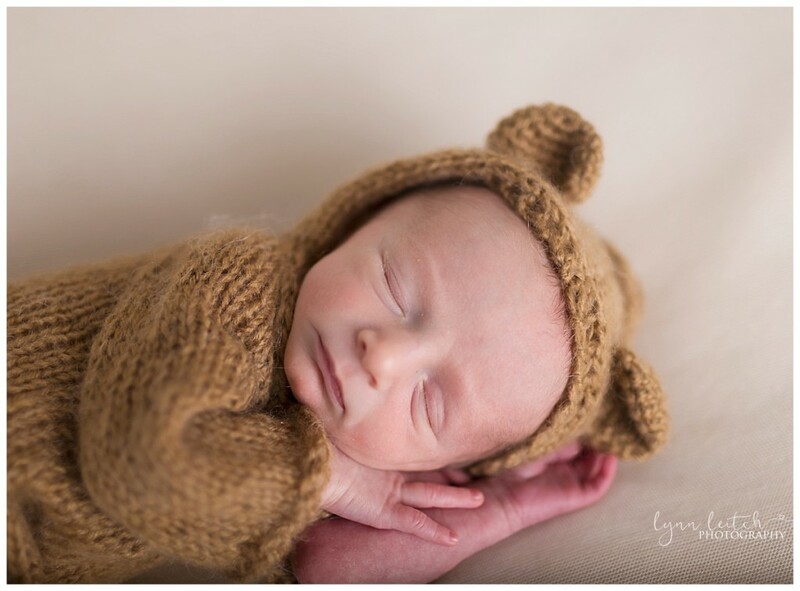 Before you start looking for a newborn photographer you should plan how much you want to invest in this session. There are few things that outlast printed memories, and when it comes to important events like a wedding or a newborn baby’s first portraits, for me, these are the times that I want to make sure I have the best portraits to look at for years to come. Just as any other service field, newborn photographers can be priced anywhere from $200 – $2000, but just like other services, you may get what you pay for. And that is not to degrade any photographers on the lower side of the budget or to say that a client should only pay at the very top of the budget, but typically with experience comes the higher prices. In fact, I started out as one of the lowest priced newborn photographers in the area, but after more than 3 years of growing, attending workshops, taking classes and working very hard, my business and my rates have grown, as well as what I offer my clients. Which also answers the question “what am I paying for“. You aren’t just paying for 2 or 3 hours of work. My rates cover my cost of doing business which includes insurance, taxes, licenses, education, equipment, props as well as the hours I spend editing the sessions, uploading, blogging, marketing 😉 Also, something that has been very important to me since I started this business, is the final product. It has always been a struggle for me to just send an email with a link of images to be downloaded. Who prints them? How do I know what the look like? Will someone else take as good of care of my clients as I will? Did they love them? Did the email go to spam? So this brought me to my post-session wrap-up. In this meeting I get to reveal the images to my clients in a much bigger way than them finding an email while nursing in the middle of the night and then remembering about it 3 days later (you know that happens to new moms all the time!). We get to catch up, I check in to see how mom is feeling, reveal the images, discuss wall art options (did we do all this work of the session just for Facebook updates? no – lets get these on the wall! ), and I get to spoil the parents just a little bit. The spoiling part, the experience of the entire day, that’s one of the things that brought me into this business. I hope this article helps answer your questions as you are researching Columbus newborn photographers. Please contact me if I can answer any additional questions. Newborn clients typically schedule around 2-4 months prior to their due date. I only take a certain number of newborn clients per month to ensure that I am available for their session once the baby arrives, and I hate turning away new mothers who haven’t booked a photographer so I always try to remind parents of this when they are doing their research. Email me if you have any questions at all and I look forward to hearing from you! 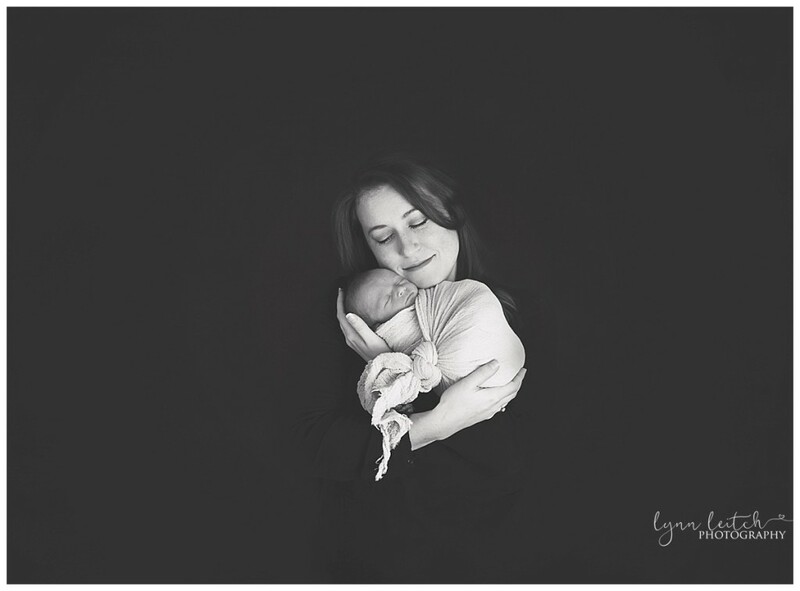 Lynn Leitch Photography is a Columbus newborn photographer. Services include maternity, newborn, baby milestone and children’s photography. 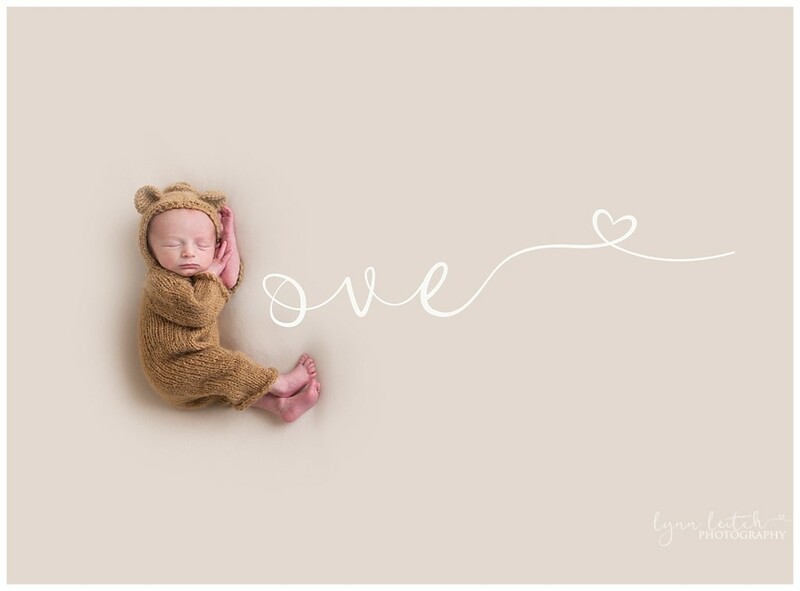 Lynn’s newborn and children photography studio is located in Hilliard, Ohio and serves clients in Hilliard, Dublin, Upper Arlington, Grandview, Worthington, Lewis Center, Powell, Westerville, Columbus, Gahanna, Pickerington and more! As well as newborn and children photography, Lynn also offers services for senior portraits, engagement photography, maternity portraits and weddings! Lynn will travel within the Central Ohio area for on-location sessions. I’m pretty sure that Wyatt wins the contest for the tiniest little peanut to visit the new Hilliard studio for his newborn portraits — if not, then it’s a pretty close contest! He was such a rock star for his session – although he did let me know that he was going to pick his own poses and pretty much wanted his leg straight out in all of the pictures! I am so lucky that I get to watch Wyatt grow up (not just through photography sessions) — don’t make me draw the family tree, but I’m gonna pretend that I’m Auntie Lynn ha ha! If you are visiting this page hoping to see recent work, I apologize! I have not gotten into a rhythm of blogging current sessions. Please visit my Facebook page (www.facebook.com/lynnleitchphotography) for any current work of newborn photography, any recent weddings, senior photography and of course all of my fall family sessions! Thanks for checking in and please contact me if you are interested in booking!